Microsoft has pushed a new update out to Outlook for Android users. The update should be hitting users in the next few days and when it does, you will find a new Mentions features. The new feature allows you to mention people or call attention to things in your email by using the @ sign in your email. When you use @ in your email, you will get a pop-up of your frequently used contacts or you can dive into your contacts list (personal or corporate if on Office 365). This makes it just a couple of taps away from adding a person to an email you are sending. 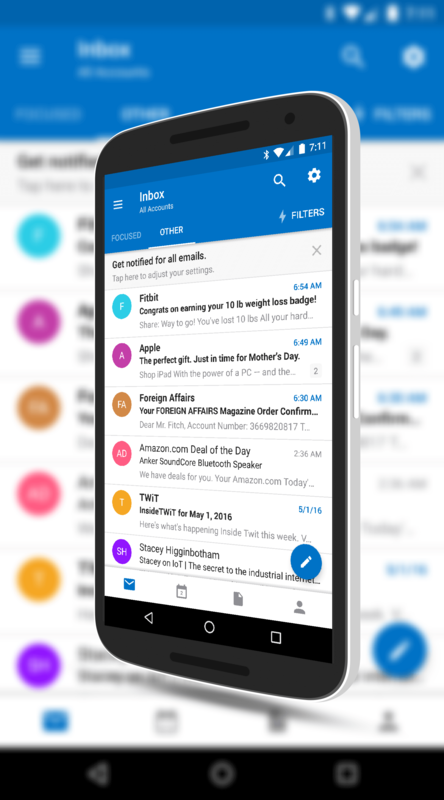 Like many other Microsoft apps for Android, Outlook continues to grow in functionality and features. While it is not as powerful as its desktop counterpart, it is gaining and gaining fast. If you are an Office 365 corporate user, this app certainly makes things easier although there are still a few limitations when it comes to calendars. Clearly, with this update, Microsoft is trying to address some of those weaknesses. Microsoft Outlook is a free app in the Play Store.